A life dedicated to politics is tough. It requires near-constant work designing and communicating solutions to citizen concerns that can seem like a moving target while facing attacks from opponents and navigating the different priorities of allies. Political parties, as the preeminent platforms in democratic systems for aggregating political activists and transforming public campaigns into governance, bear the brunt of this heavy workload. Today, parties around the world face a particularly challenging milieu: citizens are more disillusioned with traditional politics and have more access to diverse sources of information than ever before, upstart political movements are disrupting the status quo, and the speed and variety of 21st-century communication methods are making message control and discipline difficult. Right click on the image above to download. These challenges, and the steps that political parties might take to remain or become more relevant, responsive, and citizen-oriented, were the focus of an NDI conference on February 24 and 25. NDI convened representatives from 25 political parties in four countries in the Middle East and North Africa (MENA) for a conference held under the auspices of NDI’s Regional Campaign Schools Program, a regional initiative supported by the Middle East Partnership Initiative (MEPI) at the U.S. State Department. 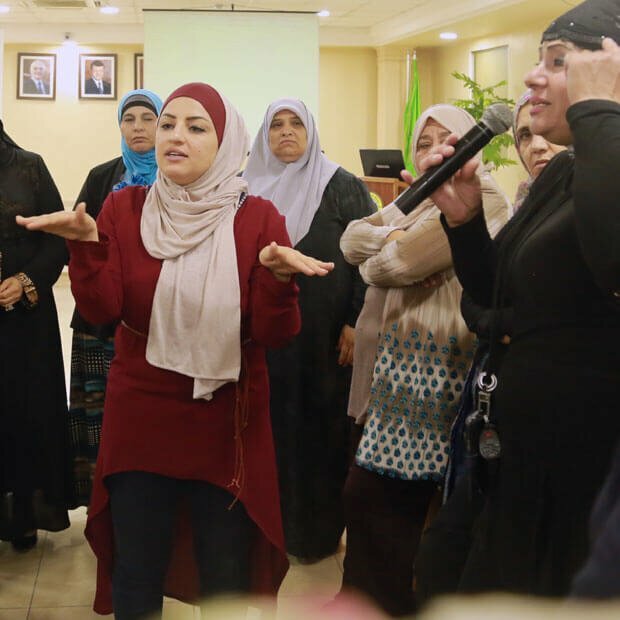 Under the Campaign Schools program, NDI has invited participating parties from Algeria, Lebanon, Morocco and Tunisia to nominate standout graduates of the program’s campaign skills bootcamp training to participate as “Champions of Renewal” (CORs). The CoRs reflect on their parties’ practices, processes and policies to identify a challenge or opportunity that could be addressed with a concrete and achievable solution. For example, CoRs noted that their candidates lacked rigorous training, so they proposed advocating internally for the establishment of a training bureau; since their internal party communications were not streamlined, they proposed launching an app-based internal communication system. The CoRs designed and launched their projects at a kickoff seminar in Tunisia in October 2017. They spent the next few months creating teams within their parties that would work together to refine the solutions the CoRs had identified, secure approval (and possibly resources) from their parties’ senior leadership and take responsibility for implementing the approved project. As a second phase in February, NDI reconvened the CoRs again in Morocco but, this time also invited a senior party official from each of their parties. The conference was designed this way to allow CoRs to elevate their projects in the eyes of their superiors in the party, and also expose these more senior members to the same internal party development ideas that the CoRs have been learning about through their participation in the program. Politics is a marathon, but change is possible. “Voters will not reward you for something you did three years ago,” one visiting expert advised. “You cannot rely on past successes.” Instead, parties must constantly prove their responsiveness to evolving voter concerns by remaining flexible and innovative. This innovation might take time, but it is possible: each of the international panelists at the February conference shared experiences of party renewal that took five, ten or fifteen years. Parties inspire more confidence when they have regular, democratic turnover in leadership, and they are also more successful when they invest in their people, whether by empowering volunteers and staff with more responsibility, providing robust training for candidates or setting up professionalized recruitment systems. Consistent relationships with voters are the only way for parties to: 1) differentiate themselves from one another, particularly in systems with dozens or even hundreds of political parties; and, 2) sustain electoral wins by delivering solutions to citizen needs while in government. Panelists shared examples of open and interactive website platforms to collect citizen input, or elected officials setting up tables at grocery stores to discuss citizen concerns, to demonstrate ways to build these relationships. The MENA region will see two historic elections this spring. In the same weekend, Tunisia will hold its first municipal elections since the ouster of Zine el-Abidine Ben Ali in 2011, and Lebanon will hold its first parliamentary elections in nearly a decade. 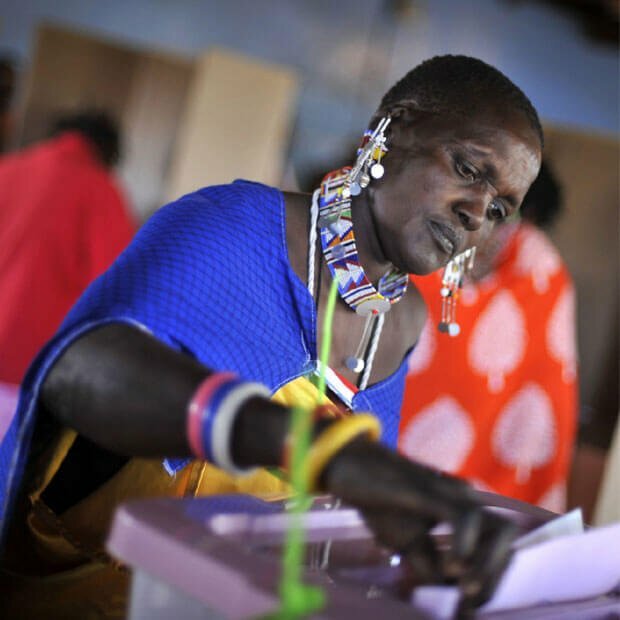 In a region so often characterized by political violence, this signal of commitment to regular, free and fair elections is remarkable. Ultimately, however, political progress is bigger than one election, and building strong, stable political institutions throughout the MENA region will take much longer yet. 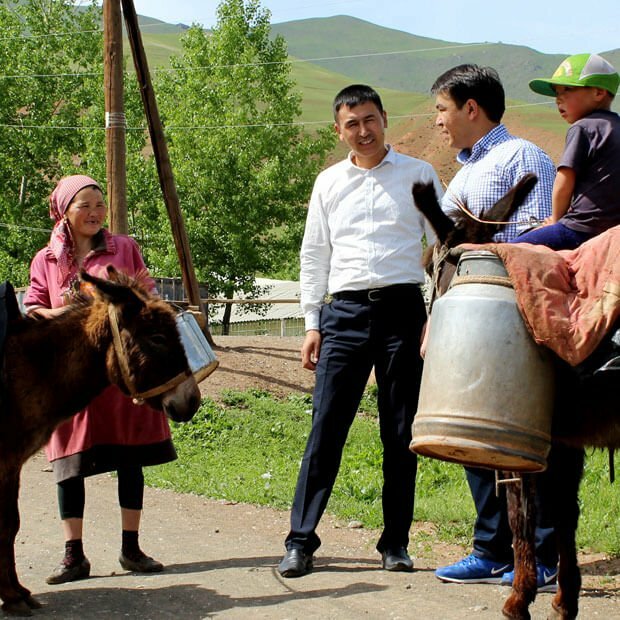 The participants in NDI’s Champions of Renewal initiative are on the forefront of those efforts in each of their countries, and their party renewal plans have the potential to drive some of the change that is needed.